The following pieces are poems, articles, art, and interviews from contributors who are living with various mental illnesses. Send us your artwork at hello@humanologyproject.org for a chance to be featured. In a previous article, I had written about stigma against bipolar disorder and how it can affect not only the patient, but also their family members. To find out first hand, I sought out to interview someone with experience. The following is an interview with a fellow student who has a family member dealing with the disorder. He has requested to stay anonymous. Graham Cordwell was born in April 1956 in Gloucestershire, England. After joining the British army at only 16 years old, Cordwell, at the age of 18, became a full adult recruit and was posted to the 2nd Battalion of the Parachute Regiment (2 Para) and served for 15 years, resigning in March 1988. Cordwell served 4 tour duties in Northern Ireland, and was an active serviceman in the Falklands War in 1982. In 1994, Cordwell attended college and became a Social Worker, working with individuals with substance abuse problems. After a breakdown in 2002, Cordwell was diagnosed with chronic PTSD, and has spent the past years in treatment and rehabilitation. In 2007, Cordwell began writing poetry, and has contributed his works online, and to books featuring poetry highlighting personal experiences from those who have served. Graham Cordwell is one of many veterans of the Falkland war who have influenced the poetic world, via the book “Falklands War Poetry” which depicts soldiers experience not only on the front lines, but the later effects of their time serving. Don’t pity me, just don’t look away! 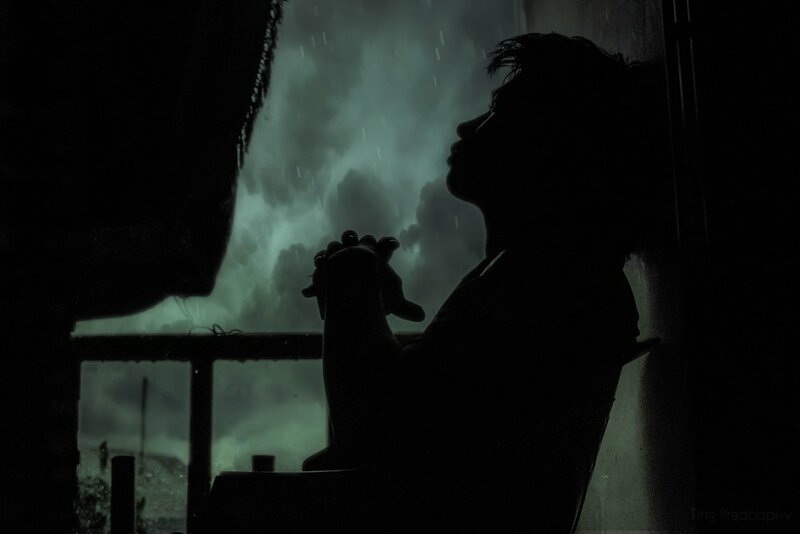 Cordwell’s piece, “Life on Hold- An Ode to PTSD” discusses the implications of his illness in regards to feelings within himself; the inescapability and the impact post-traumatic stress has had on his life. In reading the poem, what stood out was the vivid imagery and detail in which Cordwell discusses even a passersby, who cannot fathom the wounds in which Cordwell attempts to heal. The loneliness, and the changes in everyday life, including his difficulties sleeping, and controlling the sudden flood of memories, and emotions that he struggles to control. Cordwell discuss the symptoms of PTSD and at the end, urges readers acknowledge the disorder, especially amongst veterans, but also cautions that his humanity still is own strong, and valued. Throughout this cathartic piece, we can see an artistic and raw display of the impact of PTSD on the daily life of a war veteran. Art is often used as a therapy tool to engage children with autism. More than just a way to spur creativity, art techniques such as drawing and painting can help children with autism spectrum disorder (ASD) improve their fine motor skills (Draycot). Art is also a way for children with ASDs to communicate their thoughts and feelings, which they often struggle to express. Through art, children with ASDs are able to display their talents while also overcoming their struggles with expressing emotions. 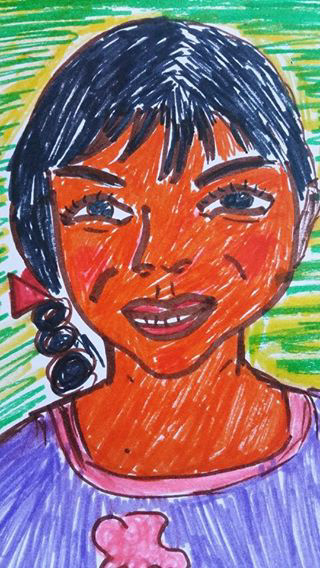 Cecilia, a ten-year-old girl with autism, created the self-portrait drawing shown. Her piece was posted on The Art of Autism, an organization that promotes the art of autistic individuals. You can learn more about the organization, and view more art pieces, here. As with many mental illnesses, borderline personality disorder (BPD) possesses a number of misconceptions. Those who possess BPD are often perceived as being attention seeking, manipulative, seductive, and dramatic, even by those in the medical community. It is often difficult for people to understand something that they haven’t experienced themselves. Being willing to share an experience or learn more about what someone else is going through allows us to become more conscious and empathetic. When we fail to acknowledge what another person is feeling, it causes them to feel isolated and ashamed of who they are. ArtWithImpact is a non-profit organization that holds film contests every months in order to educate and initiate a conversation regarding mental health. In June 2016, writer and psychotherapist Betsy Usher entered in a film entitled I Am Borderline: Self-Regulation Project in order to display the realities of living with borderline personality disorder. The film became part of Usher’s campaign to reduce the stigma associated with BPD. Usher began the campaign with the intention of creating empathy and community around those with BPD while also educating the general public about BPD. She asks those who possess BPD to take a photograph of their talents, achievements, passion, and experiences and tag it with #Iamborderline in order to show that their illness is not a limitation or a definition of who they are. You can Click on this link to view some of the photos and learn more about Usher’s campaign. Like her. I am too much of me. Why we all just be that? Drowning in her bed sheets. How far can someone go? Is loving herself and her body. The porcelain cracks of the past will never escape us. South African photographer Tsoku Maela recently did a powerful series of photographs called Abstract Peaces, which chronicle his own struggle with depression and anxiety. Mental illness is particularly stigmatized in the black community, with many individuals considering mental illness as a “white people problem.” Culturally, especially within minority groups, people are often told to “stay strong” and “tough it out” when faced with mental anguish. Even if people have access to care, they might not want to take the opportunity due to stigma and shame. Maela originally did not intend for these photos to be solely focused on mental illness. He states that the theme “caught him in the moment,” and even after creating the work, it took a while for him to come to terms with the fact that it was solely about mental illness. However, over time Maela realized that he could use his influence as an artist to bring attention to this issue. He states that it would be a crime for him to keep quiet about it given his own experiences. With this set of photographs, Maela has sparked a conversation in South Africa and abroad that encourages people to use their own unique voices to contribute to destigmatizing mental illness. You can read an interview with Maela here, and view all the photos in the collection here. Narcissistic Personality disorder is a mental disorder in which diagnosed individuals have an inflated sense of their own importance, a deep need for admiration and a lack of empathy for others. The symptoms of the personality disorder overshadow a very fragile sense of self-esteem. Narcissistic personality disorder can cause problems in various aspects of an individual’s life, in professional, public, and private, interpersonal spheres. In the classic Disney tale of Beauty and The Beast, we are introduced to an arrogant Prince and his castle servants who fall under the spell of a wicked enchantress, who turns him into the hideous Beast until he learns to love and be loved in return. The spirited, headstrong village girl Belle enters the Beast's castle after he imprisons her father, Maurice. The tale introduces Gaston, whose interest in Belle clearly demonstrates symptoms of the disorder. “She’s the one, the lucky girl I’m going to marry. Here in town there’s only she who is as beautiful as me, so I’m making plans to woo and marry Belle”. Though Belle has absolutely zero interest in Gaston, we see him portray narcissistic characteristics. Virtual Reality Technology is being used increasingly to help people with mental illness by exposing the person to specific objects or situations in a safe environment (Psychiatry, 2017). This allows individuals to face and overcome their fears and anxiety. Studies have shown that virtual reality is beneficial to patients and carries over to real life situations (Psychiatry, 2017). See how Alika Agidi-Jeffs, a young musician diagnosed with bipolar disorder, is using virtual reality to improve traditional treatments here. Music is an artistic rendition of emotions. Musicians possess the power to reach out to people and reassure them that they’re not the alone in their periods of suffering. John Mayer, an American guitarist and singer-songwriter, vocalizes his struggle with anxiety and panic attacks through music along with expressing his troubles in his interviews. Unfortunately, this has not always worked in his favor because some interviewers paint an image of him as a vexed philanderer to appeal to the masses, rather than communicating the gravity of his troubles with anxiety disorder. Having such characterization immortalized in print is most likely to be distressing for him as people with anxiety disorders tend to worry about insignificant details. The media has engaged more in portraying him as an hedonist and less on lauding him for confessing his troubles in public and making an effort to destigmatize the disorder. They frequently question him about his anxiety disorder and panic attacks, without the tone of seriousness that is needed. Such is the stigma of mental health. This stigma, however, has not deterred him from expressing himself through his music. Mayer fuses his songwriting and guitar expertise to disclose his anxiety disorder in pop, blues, and soul music. While a handful of Mayer’s songs such as ‘Gravity’ and ‘If I Ever Get Around to Living’ are harmonies with a dispirited tone about what his life might have been like if he didn’t have anxiety disorder, ‘Age of Worry’ reaches out to people with anxiety in an encouraging and affectionate way. In this song, he offers advice to those among his listeners who have anxiety, telling them to “build an army” against the worry. He contemplates that people with anxiety tend to expect a lot from themselves to the point that they feel like they’re not enough. He implies that they have a voice inside them telling them that what they are doing is wrong; the roots of this voice originate from other people’s definitions of right and wrong and what others have told them to do their whole lives. People with anxiety often let these opinions and negative remarks set the standards they hold for themselves, as well as define the basis on which they judge their own behavior, forming an inner monologue of self criticism. Through his lyrics, he gives them permission to ignore this voice, do what they think is right, and not be afraid to like it. His lyric “Be friends with who you are” from ‘Age of Worry’ is beautiful and inspiring while also targeting one of the biggest challenges people with anxiety face--loving themselves. His words depict how much he cares about his audience as he advises them not to let their anxious thoughts hold them back from trying new things. Overall, the song ‘Age of Worry’ is reassuring and filled with positive energy, despite his own struggle. He ends the song by saying “be alive, smile and go wild, in the age of worry,” and gives people the strength to defy their anxious thoughts and form a friendship with their disquiet minds. Obsessive compulsive disorder (OCD) is a misunderstood illness that is often taken lightly or trivialized. “The Secret Illness” is a creative arts project that posts stories about those living with OCD; they create short films, conduct podcasts, and share artistic pieces. In addition to these pieces, they also have a section called “The Wall,” which is an open space on their site which allows people struggling with OCD to share their stories. Through these methods, “The Secret Illness” aims to deconstruct the misconceptions of OCD, such as that it’s a cleaning disease or that people who have it are just antsy. Liz Smith, a filmmaker who was inspired to make a documentary about OCD, said, “My hope is that together we can take some of the ‘secret’ out of OCD, that more people can be diagnosed early and get the treatment they need. I hope it will open our minds and make it more acceptable to talk about OCD and intrusive thoughts more openly,” (The Secret Illness, 2015). Abbey, 18, St. Louis, USA. Maggie, 54, New York, USA. While autism spectrum disorder (ASD) poses many challenges to those affected, it does not commit these individuals to an unworthy life. Kerry Margo, a motivational speaker and best-selling author, is on the autism spectrum. In his poem “Only if you knew me”, Margo demonstrates the two dueling realities of living with autism: dealing with the developmental struggles that come with the illness, while simultaneously striving to accomplish your goals. 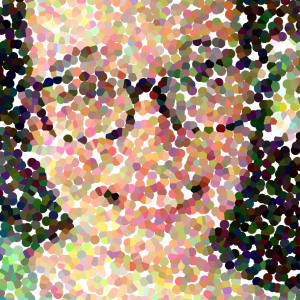 “Only if you knew me” beautifully sums up the highs and lows of living with ASD. Although Margo has undergone difficult therapy and dealt with degrading socially-constructed labels, he has also experienced outstanding personal and professional achievements. Margo’s insightful poem is applicable to millions who live with ASD, and his words are a wonderful reminder that there is more to people than meets the eye. From birth, those with Down Syndrome are stigmatized and underestimated in their capabilities and aspirations. Because of their learning disabilities, they are not offered the same opportunities as others which reduces their chances for achievement. Karen Gaffney, a woman with Down Syndrome, shattered these stereotypes as the president of the Karen Gaffney Foundation. The Karen Gaffney Foundation advocates for the inclusion of those with Down Syndrome and other developmental disabilities into their families, schools, communities and workplaces. In this Tedx talk, Karen speaks of her accomplishments such as swimming across the English channel and as well as graduating from college. This would not have been possible without the generation of parents before her that fought for legislation which allows those with DS to have the right to education. She also mentions grassroots organizations that pushes for better medical treatment and research to aid those with Down Syndrome and how they will change the future. She is a prime example of how those with developmental disabilities have the capability to achieve success and happiness just like everyone else. This piece is intended to depict the misconceptions of eating disorders. That what you see is not always the truth. The “elephant in the room” usually represents an obvious concern that has not yet been addressed, which is usually the case with eating disorders. Eating disorders are a class of mental illnesses that may portray themselves on the outside more easily than other mental illnesses, which is where the elephant comes in, since the elephant is bold and visible. However, what is not seen is what is on the inside, which, in this painting, depicts a myriad of patches that represent different eating disorders. Some of these disorders are anorexia nervosa, binge-eating disorder, pica, body dysmorphic disorder, and even food addiction. 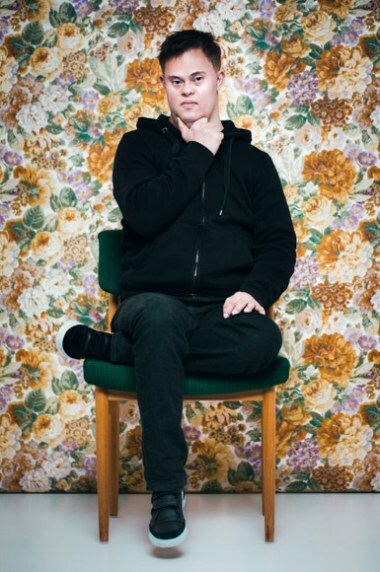 Seth Chwast is a successful american artist who is on the Autism Spectrum. While Seth is mostly non verbal, he defied all expectations and communicates through his art. Seth paints beautiful and thought provoking work that has been exhibited all over the world. If you would like to explore more of Seth’s work, which is available for purchase as prints, visit his website. Satisfying it one last time. Sow Ay, an illustrator who states that he lives under his “hoodie and headphones,” draws situations depicting the thoughts of a boy called the ‘Forsaken Star’ who suffers from anxiety and depression. Although this topic seems unusual for a comic-drawing, he employs this style of communication to deliver important messages in a light-hearted manner. He implicitly educates his audience about anxiety and depression through the inner monologue of Forsaken Star during interactions with others. The personified character of anxiety and depression is described as a black ghost-like creature that follows him around everywhere. The audience learns from indirect messages from short story lines. For example, one comic shows when Forsaken Star goes out with his friends and has a good time, he thanks this monster for leaving him alone, thus shedding light on how difficult it is to have enjoy social interactions on a casual meeting with friends without being overtaken by negative feelings and thoughts. Targeting the stigma surrounding anxiety disorders and depression using a unique platform such as comics allows Ay to problematize those who trivialize mental illnesses. Ay also entertains those who have similar experiences depicted in his comic with light-hearted humor, while making those who cannot relate sympathetically understand what it is like to live with anxiety and depression. “Recovery” by Anelia Crawford is a creative work of art depicting recovery from addiction. Multiple eye-capturing details of this piece portray the destruction of addiction, and the fearlessness and strength to persevere through all the complications that accompany recovery. From the figure walking down the shore Anelia puts on display the fact that recovery can happen, despite those going through it that feel otherwise. Additionally, Anelia explains how there is a subtle image of The Milky Way within the rocks at the bottom of the picture displaying a future available for those suffering. “The Milky Way suggests that there is a much bigger picture, yet unknown to the [figure walking down the shore].” As it can be seen Anelia Crawford is an exceptional artist from the physical work she has created and the powerful meaning behind it. “Recovery” assures those seeking recovery and who are recovered that, while it is surely a complicated thing, recovery is possible. Her artwork provides an image of hope, while also acknowledging the realistic struggle of recovery from addiction. This piece was created by Edmund Monsiel, a Polish painter born in 1897. 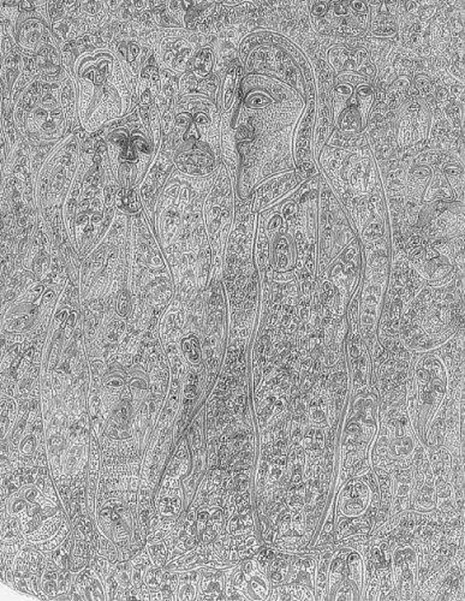 Monsiel lived with untreated schizophrenia, and started sketching after experiencing symptoms. He used it as a way to express himself. During the course of his illness he created about 500 sketches, most of which are now on display in museums in Poland. Many of his pieces are untitled and most of them are on tiny scraps of paper. To see more of his work click here. 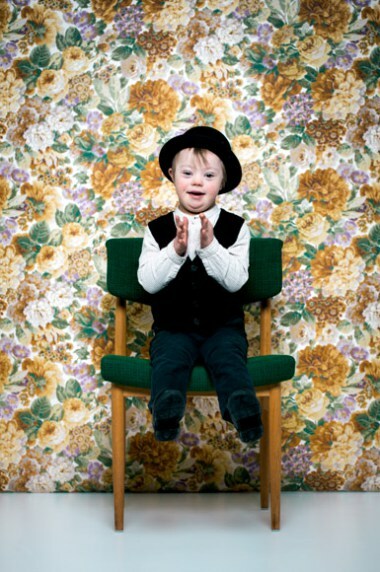 The title of photographer Sigga Ella’s project is “First and foremost I am.” Ella photographs several people born with down syndrome in order to display both their individuality but also their normality side by side. The ages of the participants range from 9 months to 60 years old. The background of each photo is a colorful assortment of flowers. It symbolizes the diversity and complexity of humans. In the same way that each flower in the background is different and has bloomed, every person on earth is different and capable of flourishing in life. Each person pose, expression, and clothing are different but it helps express their individual style and personalities. Some smile, scowl, or neatly cross their legs. Although they were all born with down syndrome, they are, first and foremost, themselves. Famous for “The Starry Night” and his self portrait, Van Gogh remains a very talented and influential artist. While most of his work encapsulates nature at its greatest, the piece titled, “Sorrowing Old Man (At Eternity's Gate)”, shows a different side of his work. Van Gogh experienced symptoms of schizophrenia, as well as bipolar disorder, neurosis, and epilepsy. He experienced episodes of psychosis and delusions. His artwork depicts a visual internal struggle with the man looking obviously distressed with a fire in the background. Van Gogh places a fire in the background of this piece, just as there is a fire in the back of his mind. It sits and it burns, coiling its flames around his peace of mind. It sits and it burns while it brings in the delusions and the discomfort. It sits and it burns charing what remains and fragmenting the little he holds on to. Art is a very galvanizing force that is often used to represent and preserve a piece of society. It is often examined and analyzed by future historians in centuries to come. An art piece used to encompass the various beliefs and outlooks during the era in which it was created. Throughout the centuries, mental illness have been depicted in a various forms of art, whether in music, the media, or paintings. Down Syndrome is no exception. Even before the official coining of its current name in the early nineteenth century, Down Syndrome has been depicted in different pieces of arts for centuries (Starbuck, 2011 ). According to John. M. Starbuck, a Ph.D. candidate in the department of anthropology at Pennsylvania State University, there are many art forms in history that could possibly be depictions of individuals with Down Syndrome in historical cultures. He believes there is strong evidence that two individuals in the painting The Adoration of the Christ Child (circa 1515 A.D.) were shown to have Down Syndrome. One individual was drawn with angel wings and the other was an “earthly admirer” (Starbuck, 2011). They were portrayed with similar facial compositions exhibited by people with Down Syndrome. They had “flattened midface, epicanthic folds, upslanted palpebral fissures, small and upturned nasal tip, downward curving mouth corners, and short fingers with a widely spaced and curving small finger (Levitas and Reid, 2003)”. These description are direct features scientists have identified as distinct to those with Down Syndrome. There are two versions of this painting, one in the nighttime and the other in the daytime. Each version had similar individual's depicted, one with an angelic disposition and the other as a mortal bystander. Levitas and Reid, who studied the qualitative facial analysis of individuals in paintings to confirm or deny the possibility of those individual's as being depicted with Down Syndrome. They concluded, after analyzing and examining the two individuals in the painting, that both individuals may have had Down Syndrome. They speculated that there were three possible reasons why one of the individuals in the painting who may have had Down Syndrome was drawn with such an angelic disposition. The reasons were: 1) the artists may have had warm feelings towards people with Down Syndrome, 2) the artists was depicting people with disabilities for a symbolic purpose such as depicting those with mental illnesses as signs of comedy or evil (Starbuck, 2011), and 3) physical signs of Down Syndrome were not recognized as a disorder at the time of the painting (Levitas and Reid, 2003). The portrayals of those with disabilities or mental illnesses ranged from symbols of evil and fear to comedy and jest. Some people with disabilities were portrayed as a symbol of evil (Levitas and Reid, 2003). This could be perhaps be indicative of the intrinsic human tendency to fear the unknown. Others depicted those with disabilities as a symbol of comedy (Levitas and Reid, 2003), which could be evidence of a human propensity to judge and ridicule those who are different. In today’s society, the knowledge of Down Syndrome has spread, with the advent of increased research and awareness. Media portrayals now depict those with Down Syndrome less as a symbol of evil or comedy but more as an exaggerated caricature of their syndrome. For example, the television reality show, known as the A&E series “Born This Way” features everyday people with Down Syndrome and the lives they live. However, such shows, especially “Born This Way” is criticized for portraying the lives of people with Down Syndrome as “an overly rosy look at life for adults with Down Syndrome” (Vila, 2016). Such representations of Down Syndrome is quite popular in the media nowadays (Vila, 2016) however it is a step forward in the right direction compared to portrayal of mental illnesses and disabilities as either a joke or a sin. Therefore, the depiction of Down Syndrome in art right now is not ideal, but it has improved over the centuries. In the future, with more advancement in science and research, the art representing those who differ from the typically developing person can finally morph into accurate depictions of those with any mental disorder or disability, not just Down Syndrome. It is crucial to respect and understand people with mental illnesses as individuals and not as a product of their disorder. Those hands that once held mine. Dean Harrison wrote this poem about his mother, Patricia Shelton, who suffers from Alzheimer’s disease. Alzheimer's is a type of mental illness that causes problems with memory, thinking and behavior. Symptoms usually develop slowly and get worse over time, becoming severe enough to interfere with daily tasks. Alzheimer’s accounts for 60% to 80% of dementia cases according to the Alzheimer’s Association. In its early stages, memory loss is mild, but with late-stage Alzheimer's, individuals lose the ability to carry on a conversation and respond to their environment. In an article he wrote, Harrison says that his mother started to become “increasingly forgetful and disoriented”. The women who “could knit for England...even knitting a 13 foot long Doctor Who scarf at one point” now couldn’t be trusted to wash dishes and put them away properly (Harrison, 2017). Unable to care for her properly, Harrison and his family decided to move her into a care home. He writes “As I was sitting holding Mum’s hand in the hospital, I thought of all she meant to me and the number of times she had held my hand. I pretty much knew this was the last time she would do so” (Harrison, 2017). This turned into the inspiration for his poem. He mentions his Mum in stanza one, line two and for the rest of the poem he refers to her in the third person. He starts by speaking of his childhood and detailing how his mother used to care for him. In the second stanza, he mentions his mother's hands for the first time. He says, "Her hands were always there to guide me, To show me where to go, Her hands were forever knitting, To keep us warm in Winter's snow." He speaks of the literal actions her hands do but the actions are also symbols for how she cared for Harrison and his family. He mentions that when he grew older "those hands once there for safety changed roles to encourage and applaud." This shows that his mother supported him and played an active role in his life. She helped her son take care of his kids when he got married and started a family of his own. Once again, Harrison uses the hands as a metaphor by saying, "Later when I took a hand in marriage, With new little hands to hold in mine, she was always there when needed, to take their hands and give us time." He ties the past with the present by mentioning his own hands, his wife's hands, his child's hands, and his mother's hands. He then starts to come full circle by saying that for many year his mother held strong for the rest of the family, but then her hands "started to become unsure." By saying her hands have become unsure he pains a clear picture for the reader of how frustrating it must be for his mother. The woman who was such a strong and steady figure for most of her life was no longer that way. The unsteady hands also show us how much the disease affects his mother. Severe dementia due to Alzheimer’s disease is characterized by a decline in physical abilities and a loss of communication skills. Both these put together make it so that the person with Alzheimer’s is unable to go about their daily routines (Mayo Clinic Staff, 2018). When Harrison’s mother could no longer go about her days on her own, he stepped up and took her "hand in hand,” he cared for her the way she once did for him. She would spend weekdays with her partner Michael, and visit her son and his wife on the weekends (Harrison, 2017). They watched over her until they decided it would be better to move her to a care home. In the last stanza, he says he holds her hands one last time before they slipped away. The hands that once held his when he was little are in a better place. Harrison makes the reader feel the weight of those words and realize that he will never hold his mother's hands again. Holding hands is a small gesture but it accompanies so many childhood memories for him, allowing the reader to empathize with his pain. Harrison details his mother's presence in his life using symbolism and word choice among other literary devices. The prevalent theme of hands is symbolic of the kind of relationship they had, his mother was there for protection, encouragement, support, love and later her son provided her with the exact same. We poke, prod, and we giggle. I think I’ll pass on dinner tonight. No, I can’t do lunch today. I’m not spilling out of my jeans today. How many calories in a Jell-O cup? My head’s in a blender. To hide the bitter taste on my tongue..
Do I need to eat before taking Tylenol? Chomping, chewing like a wildfire. Open the door, step outside. Place the key in the lock and turn. Press down on the door handle and push forward. Confirm that it is locked. check for all the necessities. Wait, did you lock the door? as though you can tell from here. Turn back and look at the door. Perhaps, I should check again.